Part-I deals with the purity of food and its impact on the mind. 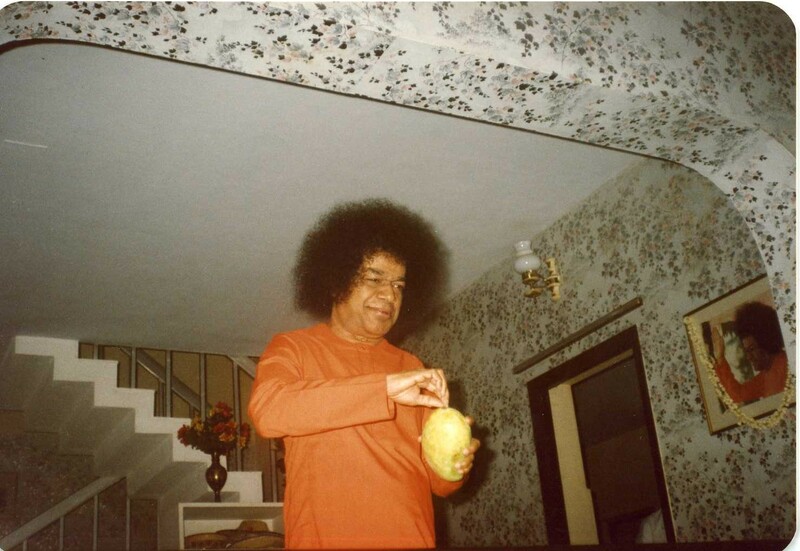 There are 5 excerpts from Bhagawan’s Discourses on purity of food and its impact on mind, presented in this posting. These have been selected from Discourses given by Bhagawan Baba in the years 1993 and 2002. 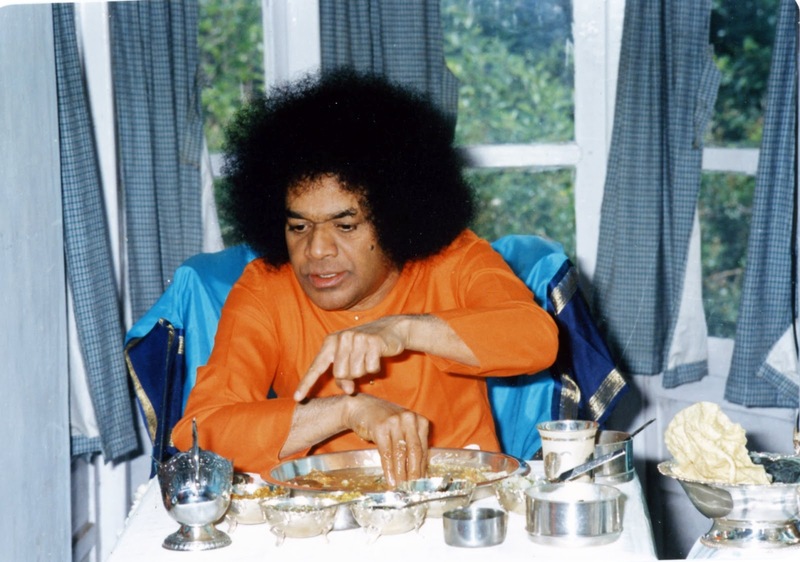 In Clip-1, Bhagawan explains how the Saankhya philosophy (one of the six schools of Hindu philosophy and classical Indian philosophy) stresses emphatically on the need for purity in food. 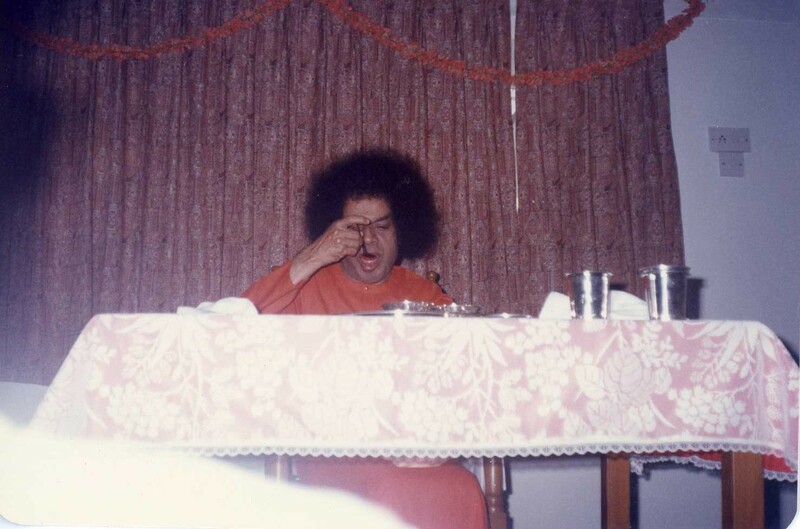 In Clip-2, Bhagawan elaborates on the impact of food on our mind. He describes how the gross, subtle and subtlest parts of the food and water we partake, become various parts of our human body-mind complex. Clip-3 tells us how the food that we eat must be first offered to the five life principles – Praanaa, Apaanaa, Vyaanaa, Udaanaa and Samaanaa. Clip-4 briefly touches upon the three aspects of Annam Brahma, Raso Vishnuhu and Bhoktodevo Maheswarah (Food is Brahma, the Essence of Food is Vishnu and the Consumer of Food is Maheswarah). Finally, in Clip-5 Bhagawan explains how important it is to consume sacred and pure food so as to develop a pure heart – Chitta Shuddhi. Saankhya philosophy (one of the six schools of Hindu philosophy and classical Indian philosophy) stresses emphatically on the need for purity in food. Food is verily the undercurrent of the five life principles (Pancha Praanaas). The (physical) body is the very form of food. This food eats food again. 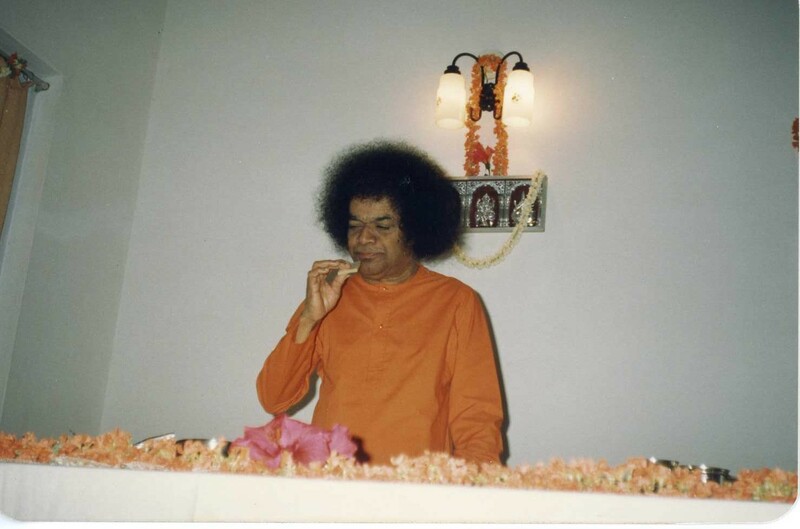 Enquire clearly – the body which is the form of food once again consumes food. Our body is the essence of the food consumed by our parents. This body which is verily the form of food, partakes of the very same food. Thus food eats food. That is why Saankhya gives primary importance to the aspect of food. The sacred texts do not enable people to enquire into these subtle points. Profound meaning is embedded in very subtle and small aspects. If we neglect aspects that appear small, they will take the form of gigantic waves. We find very small termites attacking the wood. In no time, they completely destroy the wood. Thus, we must never ignore the finer details. We must nurture noble thoughts and noble feelings. When people who have hatred, jealousy, desire, and other such wicked feelings in their heart, eat their food, the wicked tendencies present in their digestive system will affect their mind. When these wicked tendencies reach the mind, bad thoughts emerge there from. When one does not observe discipline in food habits, all such problems arise on account of food and water. Where does the mind originate? The mind originates from food. Food decides the nature of your mind. That is why our ancestors recommended the partaking of Sathvic food. What is Praanaa (life force)? The water that we drink is verily Praanaa. The gross part of the food we take is converted into excreta; the subtle part of it goes into the making of muscles; the subtlest part of the food becomes the mind. Similarly, the gross part of the water we drink becomes urine; the subtle part of it becomes blood. The subtlest part becomes ‘Praanaa.’ We can say for certain that water contains Praanaa. That is why when anybody faints; water is splashed on his face. Water enables the fainted man to recover as it contains Praanaa in it. We must have good feelings when we partake of our food and drink. Based on ancient traditions, before eating food, people would make an offering – Praanaaya Svaaha, Apaanaaya Svaaha, Vyaanaaya Svaaha, Udaanaaya Svaaha. They used to make such an offering to God and then consume the water. 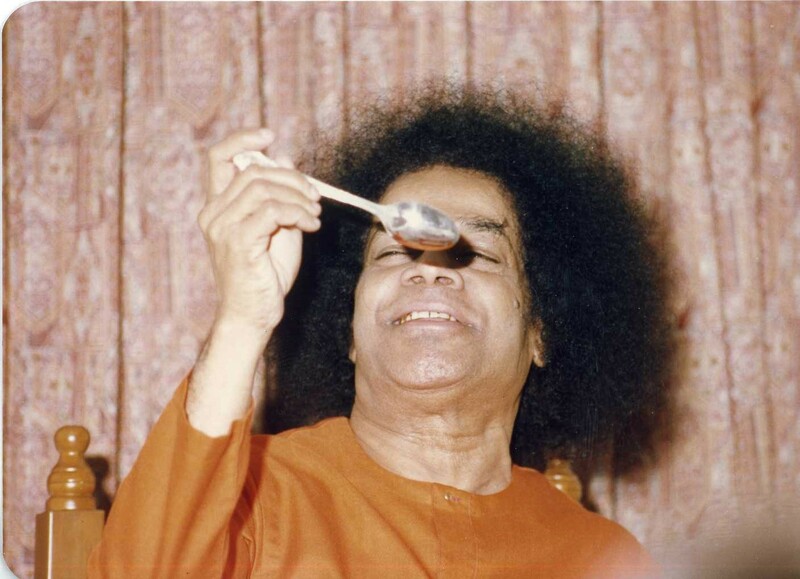 Offering the food to the five principles, partaking of it as Prasaadam, would eliminate all defects from the food. Thus Saankhya emphasizes that the food should be first offered to the five life principles – Praanaa, Apaanaa, Vyaanaa, Udaanaa and Samaanaa. While eating our food, we must utter the words, “Annam Brahma” (food is God); Raso Vishnuhu (the essence of food is Vishnu). Food is God. It gets into the body and provides its essence to all the parts of the body. It indeed gets transformed into blood and energy. Bhoktodevo Maheswarah (the one who consumes the food is Maheswarah). This principle teaches wisdom to the whole world. Annam Brahma, Raso Vishnuhu, Bhoktodevo Maheswarah – these three are like three attributes. Embodiments of Love! What you need to focus on today is that you must strive to attain purity of heart (Chitta Shuddhi). Let this be your foremost endeavour. With purity of heart, you can achieve anything. In order to attain purity of heart, there must be unity between the food we partake, the feelings we entertain while eating, and the happiness we experience thereof. One who cooks food should have sacred feelings. In olden days, orthodox Brahmins used to insist on partaking of food prepared by their wives only. The reason being, housewives wish for the well-being of the entire family while preparing food. On the other hand, if you employ cooks, God alone knows with what thoughts and feelings they prepare the food! The unsacred thoughts of the cook enter the food, which in turn, poison your mind. Therefore, they never entertained any outsider to cook their food. Annam Brahma (food is God). Food assumes the sacred form of Brahma. Raso Vishnuhu (the essence is Vishnu). The essence of the food we eat is also sacred. Mere physical cleanliness will not suffice; the mind also should be pure. While cooking food, you should look into the details of the materials used for preparing the food. For example, the husband brings vegetables from the market. How does one know how he brought these vegetables? He might have misused his position of authority, threatened others and brought them or the vendors themselves might have procured the vegetables by stealing or other unfair means. These actions make the food polluted and such pollution poisons the mind of man. You do not realise that the food you eat is responsible for all the actions you perform. It leads you to commit so many mistakes. 01-What do you understand by the phrase “Food eats Food”? 02-What happens to the gross, subtle and subtlest aspects of the food we eat and the water we drink? In this context, explain how food is related to the mind and water to Praanaa (life force)? 03-What are the five life principles? What is the mantra that is chanted to offer the food to these five life principles before we consume the same? 04-What aspects of the food are represented by Brahma, Vishnu and Maheswarah? 05-In olden days, why did orthodox Brahmins insist on partaking of food prepared by their wives only? 06-What are the types of defects that can get into our food through the materials that are procured for cooking the same? If the purity of food that we consume is so important, how do we go about ensuring the purity of the food that we consume everyday? It sounds like a herculean task. But in this world, there is no problem without a solution! And Bhagawan Baba, through His Messages, gives us all the solutions that we need for our life related problems.